Click on a title below to learn more. 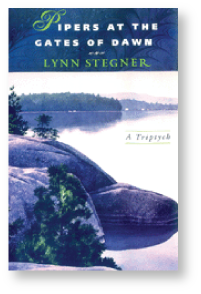 For All the Obvious Reasons is Lynn Stegner’s superb collection of nine, remarkably distinct tales of passion, clear-eyed wisdom, and honesty honed to a cutting edge. These are stories the reader can’t shake: A woman living a marital shadow-life realizes that her long compensating heart has begun to ominously decompensate. An affluent New Yorker becomes a hoarder to escape a future he cannot bear to take up. A baby dies in a miasma of sibling resentments and from that, the secrets of culpability unravel. A construction worker and a bereaved young neighbor together find a way to be in a broken world. And in the beautifully moving narrative that closes the volume, a story about the depth of goodness and duty, and of the profound love they both define and prevent. From the wild rivers of British Columbia to the cement jungle of Manhattan, Stegner pulls us from our own worlds into her own. With luminous particulars and in richly orchestrated language, these stories sound the vibrant, sometimes anguished music that composes human lives. "The luminosity of Stegner’s images and certain crystalline moments in these stories might remind a reader of the most powerful of James Salter’s work. 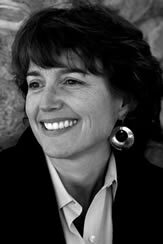 The blade-like deftness of the characters’ interior pronouncements and realization—often coming with surprising and breathless misdirection—might remind readers as well of the work of Alice Munro: though the more I read of Stegner, the more I come to recognize not just her voice, tone, and style, but her own underlying spirit." 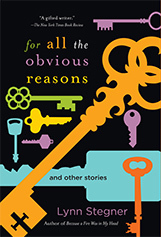 "These stories are magnificently inhabited, each a whole world and voice unto itself, novelistic in scope yet succinct and disturbing and beautiful in the way only short stories can be. They are carefully wrought and thought; transporting and convincing and surprising. Awesome -- as in, I stand in awe." "In Stegner’s beautifully stylized writing, it takes only one opening sentence for us to become entranced." "An astonishingly wise writer...this is fiction to learn from, and live by." "Betrayal and confusion, denial and grief, new beginnings and old scores all coalesce in Stegner’s incandescent collection of short fiction, in which she mines the uncharted territories of human vulnerability and strength. . . . Leaving an indelible impression on the reader’s memory, Stegner’s stories vibrate with a hint of danger, a discernible foreboding that the circumstances of her otherwise unremarkable characters are about to take a momentous turn. 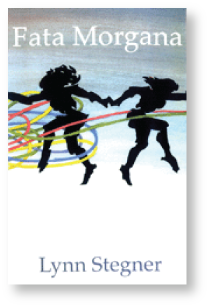 A fitting recommendation for fans of Lorrie Moore, Emma Donoghue, and Karen Russell." 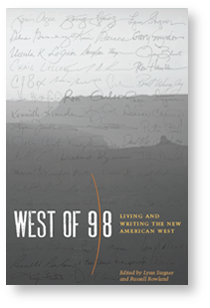 West of 98 gathers sixty-six literary testimonies, in essays and poetry, from a stellar collection of writers who represent every state west of the 98th parallel—a kind of Greek chorus of the most prominent voices in western literature today, who seek to "characterize the West as each . . . grew to know it, and, equally important, the West that is still becoming." It is a collective declaration not of independence but of interdependence with the land and with the people who inhabit it. West of 98 opens up a whole new panorama of the western experience. A friend went into a bookstore here on the Oregon coast and asked to see some books by Northwest authors. “You know they’re not very good,” warned the bookseller. When my father, the poet William Stafford, died, the obituary in the New York Times said “a western poet and educator” had passed from the scene. This kind of disdain, in my experience, has been salutary for our tribe of writers in the West. In a land of scant rain and little honor, we turn to our work with calloused hands. When Terry Tempest Williams and Christopher Merrill convened 60 western writers for a three-day literary party in Wyoming some years ago, the name for the final dinner, where Douglas Peacock did the barbecue, was “Protecting What We Love.” We were all on a first-name basis by the close. “When will we do this again?” someone said at the farewell. “Never,” Terry said. “We’ve done it.” We were connected, without hierarchy, in our myriad work. Since we are neglected, and often far apart as writers in the West, it is good to have this book, where Lynn Stegner and Russell Rowland invite 66 renegade writers from this far-flung tribe to witness living and writing out here yonder. There are poems, parables, classic essays, diatribes. It’s as if each writer lives somewhere way upstream and sends a tributary of local thought. This book is the confluence where all the good gets gathered. Charles Bowden rails about hummingbirds and border agents. Annick Smith meets the bear of growing old. Barry Lopez looks at racism, Kim Barnes at language, Gary Snyder at the black-tailed hare, and as by the compound eye of the dragonfly, we witness our homeland by spoken mosaic, diversity of seeing and saying, wandering and dwelling, lament and blessing all in one broad fit. Kate Riley is not the sort of heroine we meet in most American novels. Self-centered, shape-shifting, driven from one man to another and one city to the next, she is all too real—but not at all the loyal and steady homebody of idealized womanhood. When we first encounter her, Kate (or Katherine, or Kate of the Prairie, or Katrina) is about to undergo exploratory brain surgery for a condition she herself has fabricated. In the space of less than a year, three people in a small New England village make life-defining decisions. When a stranger moves into Harrow—a stranger without a past and without a conscience—old conflicts flare, threatening familiar foundations, and exposing possibilities of new ones. 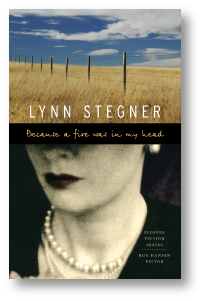 In the tradition of Winesburg, Ohio, Lynn Stegner takes the linked story form to new heights as she explores the interactions of circumstance and temperament in determining people’s choices in the face of their unsettled issues. An intense relationship in boarding school confuses the identities of two young women, leading to enlightenment for one, murder for the other. 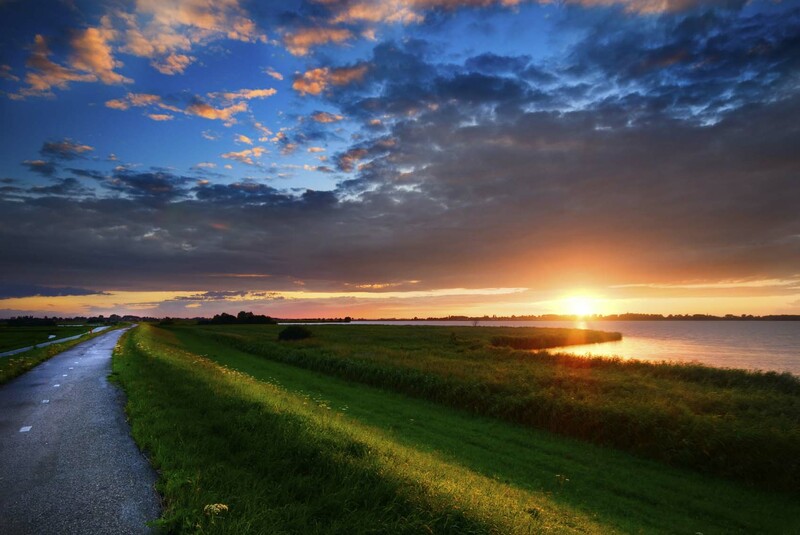 Both the writing and the story have an elevating dignity and presence�. 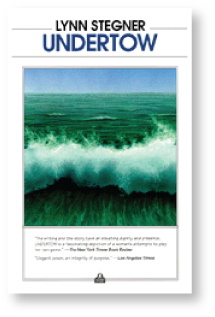 Undertow is a fascinating depiction of a woman�s attempts to �throw down the pick-up-sticks of her life� and learn how to play her own game.